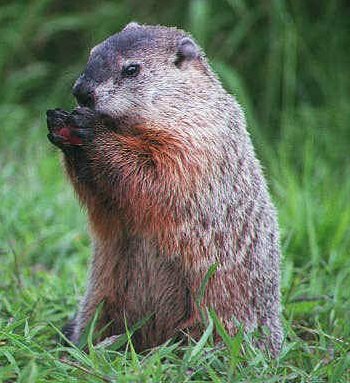 Groundhog, woodchuck. Same thing. Granted, I know that the first day of spring isn't for six more weeks anyhow, but still. If I see that little bugger, I'm going to let him know, in no uncertain terms, exactly what I think of his shenanigans. Frankly, I think he was involved in the ridiculous number of sloppy snowflakes in the air this afternoon as well, and I don't take kindly to that. I'm so close to finishing "A Scanner Darkly" that I can taste it, but it still won't happen today. Too little time in the day. I know, the same 24 hours as everyone else. But I want 30, darn it! I suppose it's time to figure out what to feed my face. Our boys are singing the National Anthem tonight at the basketball game, and we have rehearsal, so it'll be another late night. I sure could use a nap. I live for those these days, it seems. Hope your Tuesday's been more than fabulous.